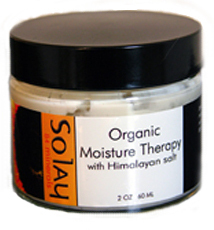 A soothing, deep penetrating, non-oily lotion that will leave your skin hydrated, re-mineralized and balanced all day. Hand made with Himalayan So-lay Water, Organic High Oleic Safflower Oil, Vegetable Emulsifying was, Organic avocado oil, Vegetable Glycerin, Wheat germ oil, Organic herbal infusions of: Marshmallow root, Comfrey root, Slippery elm, Lavender flowers, Chamomile flowers, Chickweed and cleavers, Seaweed extract, Organic Bulgarian rose water, Organic aloe vera, Xanthan Gum, Vitamin A, C,E, Sage and rosemary antioxidants, Grapefruit seed extract. Suitable for all skin types.